‘SPEECHLESS’ – is the word that conveys my views for review but my work demands me to write more and I feel short of words to write for the acclaimed ‘BEST SELLER’. Trust me the principle of ‘less is more’ is best suited in this case; for only who read the book with realise the magnetism of the debutant author Michelle Cohen Coransanti. I am not a political expert by any means so my review is nothing about whether they were Palestine – ians who were suffering or about the Israeli army who were casting atrocities or an American to justify the decision of posting military for the sake of security and leaving the decision to UN to decide and leaving the petty people behind to suffer. If you are looking for something with a political perspective, dear friend, I request you to plunge into the vast oceans of websites flooding the internet. My review is just about the book and the author. Talking about the book, I am just a pettier human being in front of the established influencers, whose verdict is already printed in the initial pages of the book. Nevertheless, today, with this review, I too become the part of the wave that is all influenced by the writing skills of the debutant author and claim it indisputably to be an UNPUTDOWNABLE book. The story is about a family and particularly about two brothers – Ahmed and Abbas, living in a village of Palestine along with their parents and siblings. It shares their harsh and difficult conditions, which they are forced to live with and how their lives change and takes it course of action under the effect of two minds (of these two brothers) on their work. Spanning to a time period of about fifty (50) years, they both face similar hardships but react in different ways based on their wisdom and understanding. All through this tough phase of life, there is a true companion – The Almond Tree. The author has taken a balanced approach in covering both the sides of the story with two different points of views. She tries to suggest, Education as a way out but smartly brings forward how the people are devoid of the basic need such as education well. She is not and not makes the readers biased at any point of time but leaves behind an open question to ponder – Is war over humanity justified? The characters are strong and well researched. The description of the family, its members, village, working conditions, family ties, housing problems, civic amenities, basic materialistic needs, every aspect seems to be realistic. At times, it feels like this work is not a fiction but an actual biography of someone known. A perfect blend of all possible human relations – love, family, care, hatred, pain, revenge – all packed in one. The plot is based on the lurking situation of Palestine and Israel partition. All I could perceive and understand was that it is somewhat similar to the situation prevailing between India and Pakistan and their saddening political mishaps. Politics, in my opinion is a dirty game and it is always the common people, who have to pay the price by losing their innocent loved ones, whether unknowingly or in the name of sacrifice. As soon as you start with reading the chapters, you continue to visualize the scenes discussed and feel pain that they feel. Description of the pain and terror through the eyes of a young boy, who is merely 10 years old is painful and at times might fill up your eyes with tears. The writing style of the author is so simple yet influential and you need not put an extra effort to visualize the scenario, facial expressions and emotional turmoil of the characters so much so that you can actually feel the bullets hitting you hard as soon as they take the form of words. Generally, it is said that – ‘A pen is mightier than a sword’ but in this case it was a machine gun that fired with each incident discussing the agony of the poor people. I could sense that as if I was personally experiencing the developments and was reduced to tears, numerous times. The cover of the book with its dark shades of pains with a face shadowed with barbed wires acts as a precursor catalyst to tantalise the readers about what is the content of the book. It puts the brain cells straight away into action because you start looking for a tree in the artwork according the title. You should read this book to understand the state of the people facing these conditions and find the answer to the question – Is war the only solution left for deciding about the political issues? Do political boundaries actually outline the borders of two states or they leave marks in the form of scars of common people, who are least involved in harming others? What do animals and plants have to do with it? Why do they have to suffer too? With you, The Almond Tree stands tall and expects you to stand up to humanity above all. Stand up, stand strong – it beckons. Do I need to write? Serioulsy? Against a background torn from the pages of today’s headlines, ‘The Almond Tree’by Michelle Cohen Corasanti recasts the Palestinians in Israel and Gaza, a people frequently in the news but often misrepresented and deeply misunderstood. This stunning debut conveys a universal story of human courage and resolution. Comparable to Khaled Hosseini’s ‘The Kite Runner’, this novel delivers an inspirational story of unfathomable pain and incredible perseverance. Gifted with a mind that continues to impress the elders in his village, Ahmed Hamidstruggles with knowing that he can do nothing to save his friends and family. Living on occupied land, his entire village operates in fear of losing their homes, jobs and belongings. But more importantly, the people fear losing each other. On Ahmed’s twelfth birthday, that fear becomes reality, with his father imprisoned , his family’s home and possessions confiscated and his siblings quickly succumbing to hatred in the face of conflict, Ahmed begins an inspiring journey using his intellect to save his poor and dying family. In doing so he reclaims a love for others that was lost through a childhood rife with violence and loss and discovers a new hope for the future. 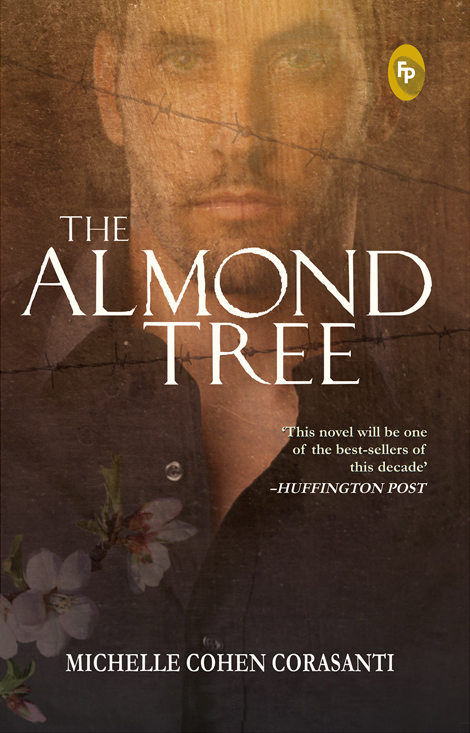 ‘The Almond Tree’ humanizes a culture and brings characters from a distant land to life. Read the original review on Book News India by Priyanka Batra Harjai. Mondoweiss, Pamela Olson author of Fast times in Palestine. Her book assists us in challenging the lie that the expedients of inhumane policies and treatment are justified to secure a just and lasting peace in the Middle East and the restoration of human rights to the ordinary Palestinians who simply want to live with dignity and freedom.